How many times in your life have you made a wish, set a goal, or had a dream? Only to regret that they didn’t come to fruition because you failed to do the one thing it took to make it all happen, step over the ledge, go out on a limb or jump into deep water. I used to take chances. When I was young nothing could stop me. I jumped in head first and often found myself having to tread water but I always learned something. Something happened along the way I became cautious and stifled the urge to go for it. I could blame it on many things but the truth is I alone am responsible for following the paths of others. What I have learned the hard way is if we stay within the lines, in the box, and/or in our comfort zones, we will always get the same exact outcome; without fail. That’s what happens when we follow the path of others without taking the opportunity to form our own opinions and views. To me, this is what this picture represents, I took a chance! I pass this building twice a day and have always wanted to photograph it. 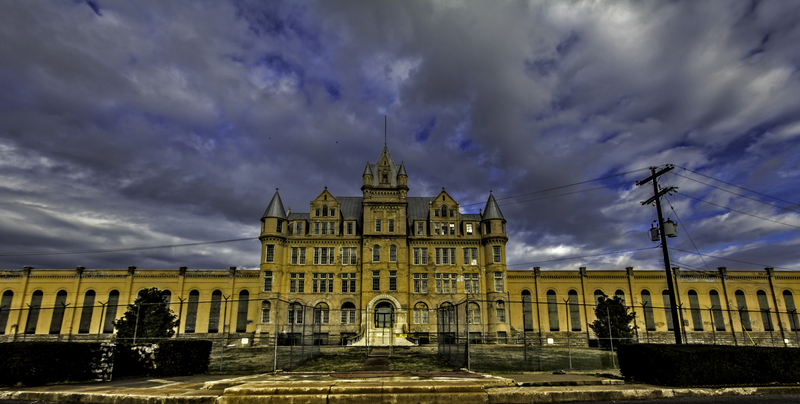 For a long time I had no idea what it was but with some research I realized I had set my desires on one of the most coveted photo opportunities in Nashville, the Old Tennessee State Prison. Yes there has been photographers granted permission to shot there before but it is very difficult. In the past this would have been the end but this new me the one who is learning to live again, she took a chance and I got the picture.